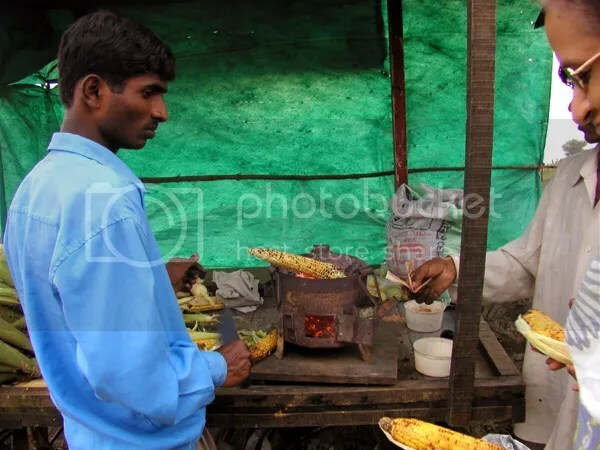 While we carried snacks for Meera, we were hungry and ended up eating butta – slow roasted the maize (indian corn) on a open charcoal shekdi (grill). Rs 15 each! Bestest! 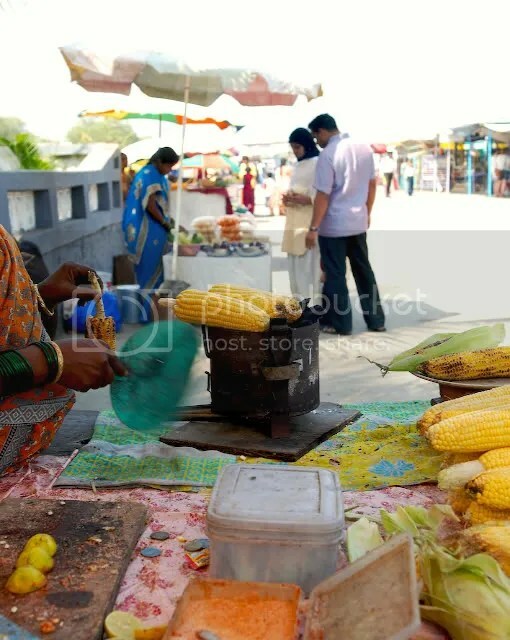 And the best part – the lady smears the butta with a halved lemon, dabbed in salt and red-chilli powder. Gives a nice zing to my eager palate. Here is a butta wallah from a few years ago. Elephanta is an easy trip from Gateway of India. Plan 2 hours for travel back and forth and another 2-3 hours at the caves. Avoid weekends! Take the earliest boat starting at 8:30 am. I can only imagine the beauty of Elephanta then. Right now is is packed with vendors selling trinkets and ungrateful tourists throwing trash all over the place. You actually watered my mouth ! I still remember Elephanta Caves and its ambiance when had been there with my wife before marriage. I love those wooden & shell articles that they sell on the big steps. 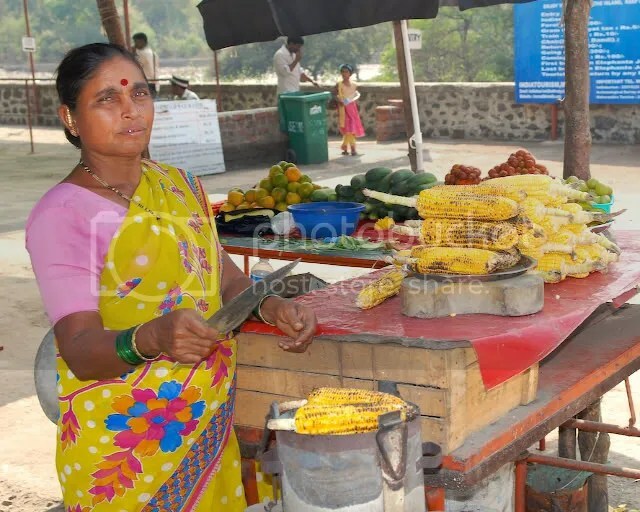 Thank you for your nice words; Yeah, the entire walk up the big steps, are lined with hawkers selling all kinds of stuff. even the Taj Mahal. I was thinking, really: why would anyone buy the Taj Mahal at Elephanta? Maybe some do. Overall, a great trip. Will post more pics about Elephanta soon. 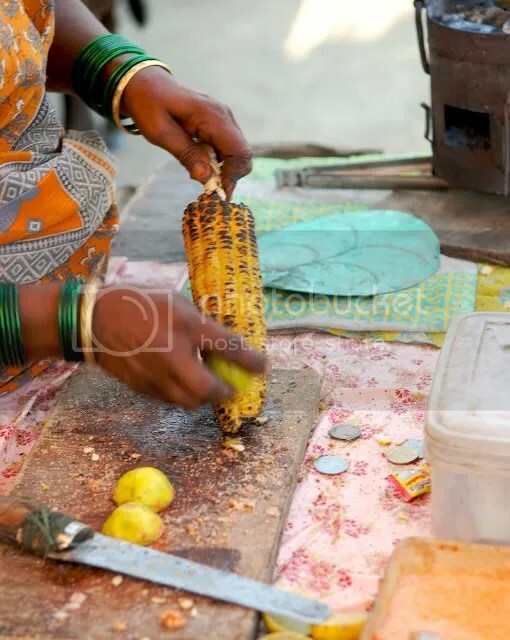 Yummy, Cool evenings and warm roasted bhutta, was a favourite evening snack in B’lore! I so miss it now..
You know, here I do make this on the grill, but then there is lot of stress. In mumbai, I just walk, grab a butta and go on. Life! Too bad we can’t get this here on the streets of Boston! What a filling treat!